iLife '09 makes it easier than ever to get the most out of the photos, movies, and music on your Mac. In iPhoto '09, you can organize and find your photos in two new ways: Faces, based on who is in your photos, and Places, based on where they were taken. iMovie '09 lets you make the movie you want in the time you have. With new themes, you can give your movie a professional look in seconds. Or use the new Precision Editor to fine-tune your masterpiece. With Basic Lessons in GarageBand '09, you can learn to play piano and guitar. And you can compose and record your own songs. Make Music, movies and much more with iLife for your Mac and start sharing your memories with friends and family. 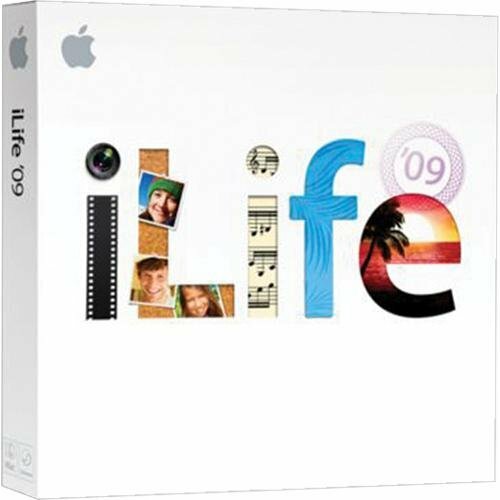 iLife 09 Apple Mac software in retail packaging as shown in the pictures above. In stock and ready to ship.